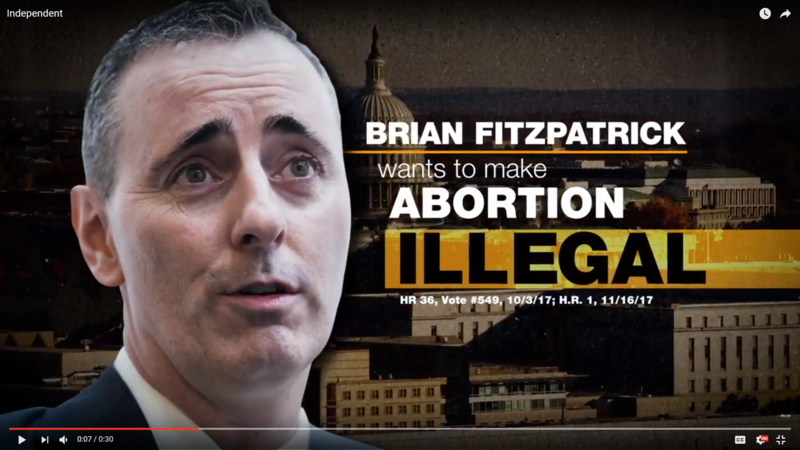 These screen shots of political ads for the 2018 election come from the campaigns for Lou Barletta, Bob Casey, Brian Fitzpatrick and Scott Wallace. Political ads on TV and online can pass by pretty quickly. But campaigns put a lot of money into those ads and the people who make them put a lot of thought into how the symbols, music and photos in those ads could affect your emotions. 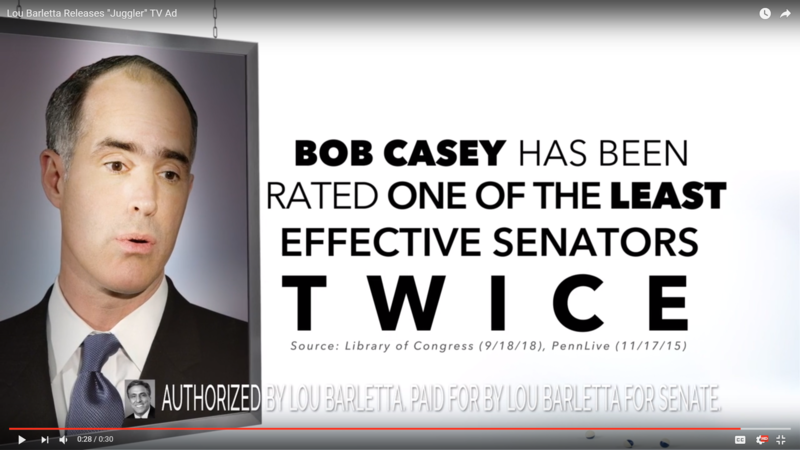 In the U. S. Senate race, featuring Democratic incumbent Bob Casey Jr. against Republican challenger Lou Barletta. Casey has led in the polls by double digits. And in the 1st Congressional district in suburban Philadelphia where Scott Wallace, a Democrat and wealthy philanthropist, is trying to unseat Republican Congressman Brian Fitzpatrick. The race is considered a toss-up. Fitzpatrick, a former FBI agent and federal prosecutor, has emphasized his moderate positions, including voting against the repeal of the Affordable Care Act and supporting increased gun restrictions. 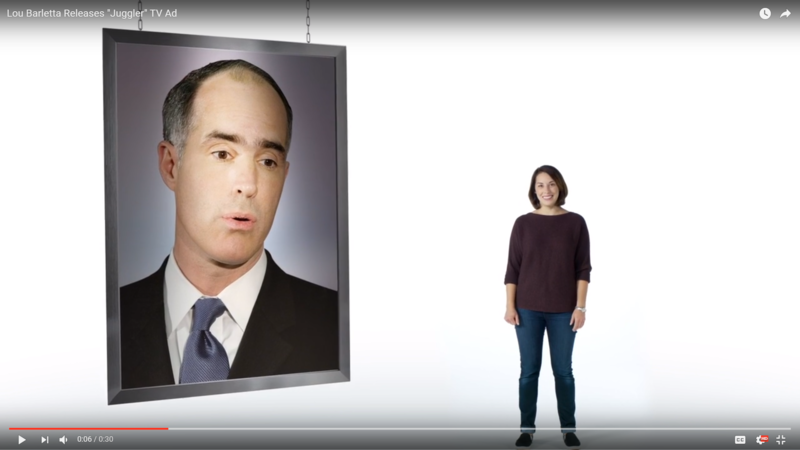 In “Juggler” from Barletta’s campaign, a woman stands in front of a white screen as a large picture of Casey is lowered down. She starts out by cheerfully saying “I’m here to tell you everything Bob Casey has done as our senator” — and then can’t come up with anything, so kills time instead. In “Unhinged and out-of-control,” the Fitzpatrick campaign criticized Wallace after he cursed at a debate. In “Independent,” Wallace promises to be an independent voice in Congress, while standing next to cardboard cutouts of Fitzpatrick and Republican President Donald Trump. Here’s a look at some tropes in those ads. Like opponents often do in political ads, Wallace appears in black and white in this ad from Fitzpatrick. A black and white photo of your opponent is a staple of political ads. “That historically resonates with this idea of the mugshot,” said Parry-Giles. And sometimes the contrast can be sharper in a black and white photo, bringing more attention to a person’s features or expression in an unflattering photo, Brader said. Muted colors are used in a sadder context in Casey’s ad featuring the two young girls with cancer. “That just reinforces what a difficult time it was and invokes this kind of negative emotion,” Parry-Giles said. Later in the ad, after the mother talks about how fortunate the family was to have health insurance, the girls are shown in full color. In the Wallace ad, Fitzpatrick’s image appears like it’s right in front of the camera. The close-up image can feel like a violation of personal space. “It’s like we’re going to get you so close that you can really study the facial features of this person to look for issues,” said Parry-Giles. 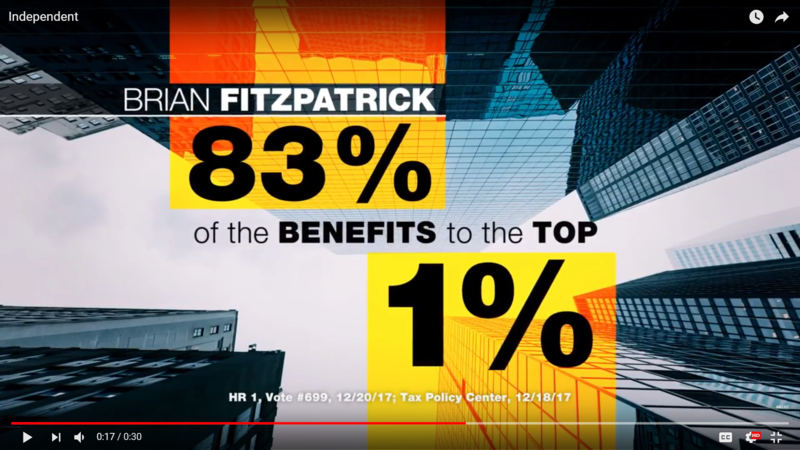 A very close-up image of Fitzpatrick is seen in this political ad against him. The Barletta ad also used a big image of Casey’s face. His head and shoulders appear bigger than the grown woman narrating the ad. Casey is lowered into the frame in this ad against him. In this ad, Casey appears as a flat character, not a full person — which makes him easier to dismiss. 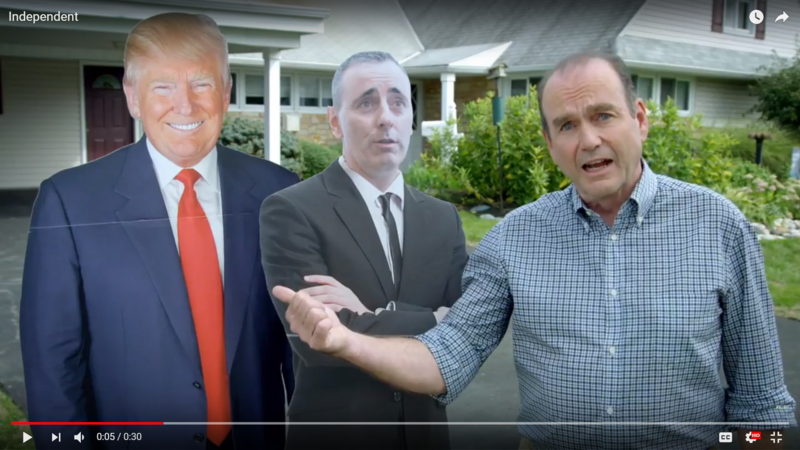 In this campaign ad, Wallace stands next to cutouts of Republican President Donald Trump and Fitzpatrick. Meanwhile, in another ad — that the The Philadelphia Inquirer called misleading — Fitzpatrick’s campaign put an image of Wallace next to Mumia Abu-Jamal, who was convicted of killing a Philadelphia police officer in 1981. In this Wallace ad, he speaks directly to the camera — that is a move designed to build trust and it is frequently used to combat character attacks, said Parry-Giles. (There have been a lot of character attacks in the Fitzpatrick vs. Wallace race). Brader pointed out that Wallace had his sleeves rolled up in his ad. It gives hims a folksy look. Plus, he’s standing outside suburban homes — which contrasts with the images of skyscrapers we saw earlier in the ad while Wallace was accusing Fitzpatrick of approving tax cuts for the wealthy. Wallace and Fitzpatrick have clashed over the tax reform bill that passed in 2017. 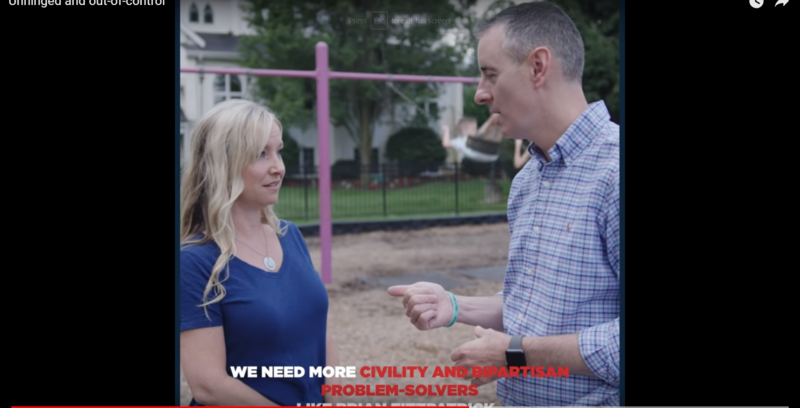 It’s also worth noting: In his own ad, Fitzpatrick has his sleeves rolled up, too, and he’s also talking in what looks like a nice suburban neighborhood. So there is an area of common ground between the two candidates. 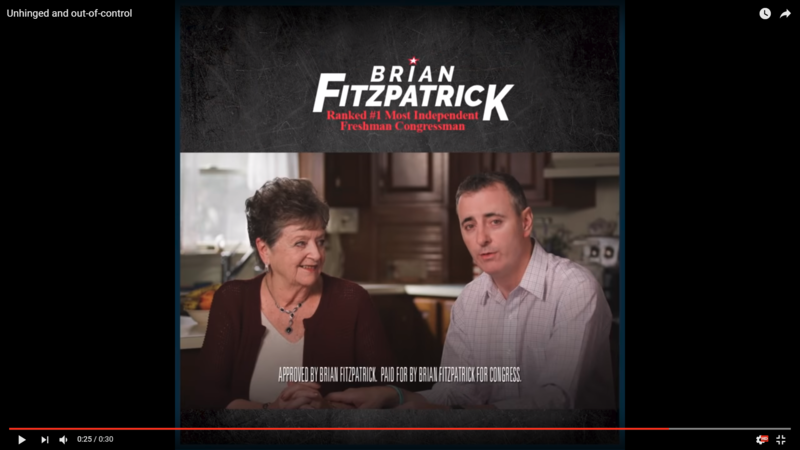 Fitzpatrick also likes to roll up his sleeves, as evidenced by this campaign ad. Women are often used to testify to someone’s character, said Parry-Giles. Fitzpatrick appears with his mother. In the Casey ad, a mother is the one criticizing Barletta. 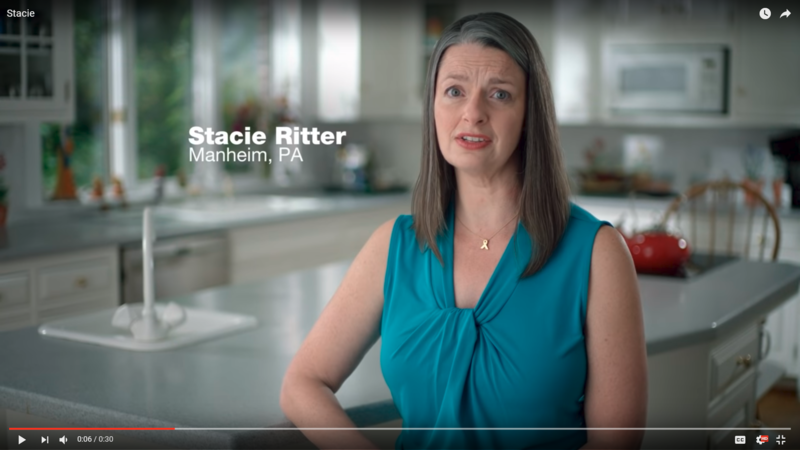 In this ad from Casey’s campaign, mother Stacie Ritter speaks about her twin daughters who were diagnosed with cancer at the age of 4. Time on TV costs money, and even online, campaigns are competing for your attention. But people ought to pay attention to the citations, which oftentimes flash on the screen pretty quickly. “Voters should just do more research. …They really need to read deeper,” Parry-Giles said. “Twice” appears in very large font in this ad from Barletta. 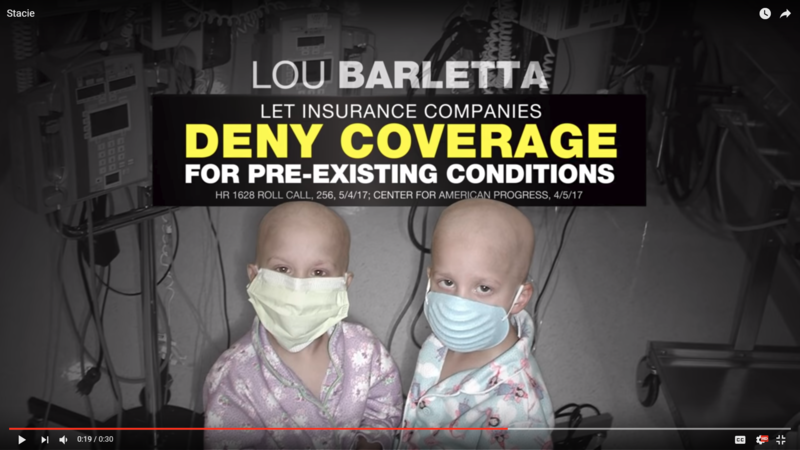 “Deny Coverage” is seen in bright yellow letters in this ad criticizing Barletta.